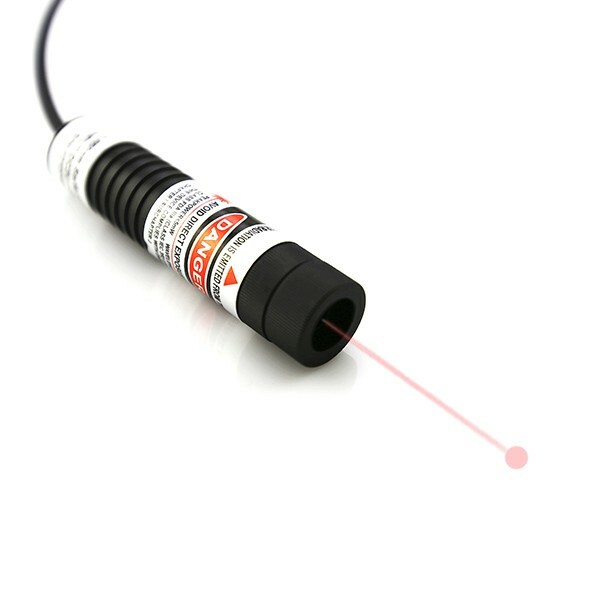 Not the same as any other type of laser systems a very simple laser pointer, alignment laser is just available with quite compact structure design, available with 12mm, 16mm and 26m. In various industrial dot measuring work fields, visible laser beam emitting from alignment laser is just forming into clearly visible and bright dot, line, cross line and parallel laser source on targeting surfaces efficiently. It is a very easy work to operate alignment laser. Owing to its external electric power source in type of DC input power supply, whenever laser module is getting very easy connection with electric power source, alignment laser device begins to work immediately. The super rapid and clearly visible dot, line, cross line, and parallel laser sources just fulfill the clearest alignment and projection on various raw material surfaces efficiently. When alignment laser gets special wavelength of 808nm and 980nm, infrared laser module gets super special application under all night vision illumination work fields, such as military targeting, surveillance, laser medical treatment devices, night hunting and telescope observation etc. When infrared laser alignment tool gets wide range output power from 5mW to 500mW, infrared laser dot, line, and cross aligning might be greatly workable at extremely long distance as long as 100 meters to 1000 meters. Under formal lighting aligning work fields, alignment lasers might get visible spectrum, selectable among blue violet, blue, green and red laser light emitting etc. No matter what kind of working environments, green laser alignment is getting the most visible laser light emission under high lighting and extremely long distance. Other formal brightness laser modules might be enough for formal light aligning works. When visible dot, line, and cross line source emitting from alignment laser, besides quite special infrared laser module, within visible laser spectrums, visible laser modules gets the maximum output power of 100mW. On condition that the selecting output power of laser alignment equipment gets higher output power range from 50mW to 100mW, it is not only equipped with higher operating voltage of 4.2V DC input power supply, but also getting larger size laser tube structure with diameter of 26mm. Alignment laser gets full consideration of thermal emitting performance from its internal metal heat sink cooling system and metal housing material design. In all occasions of dot, line, cross line or parallel line aligning work fields, when laser alignment tool is correctly selected with output power and laser lens, it is just efficient enough to get the clearest aligning result efficiently.